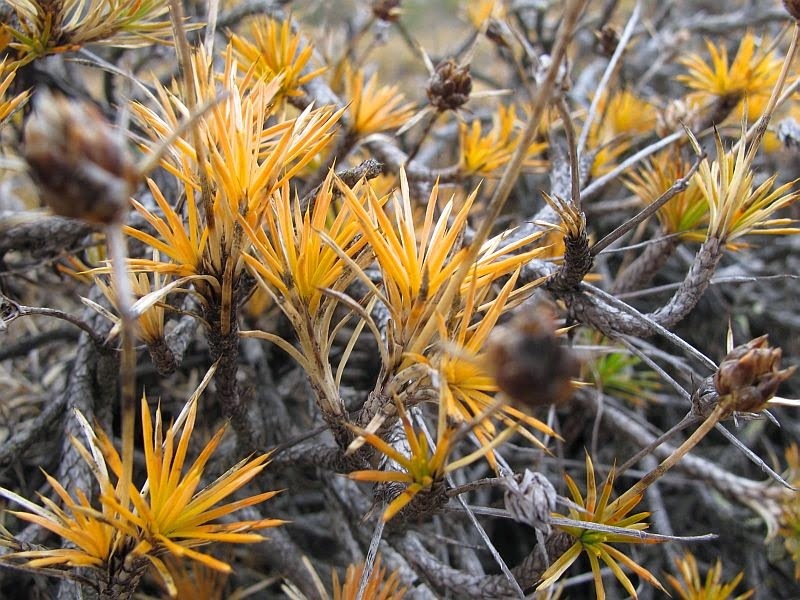 This and other Borya species are called Resurrection Plants, because during long hot summer periods and drought, they appear to die, with their green foliage turning orange. However, shortly after rain they fully return to life as their foliage changes back to green. There are a couple of Borya species that instead of changing colour shed their leaves, then grow new ones after good rainfall. 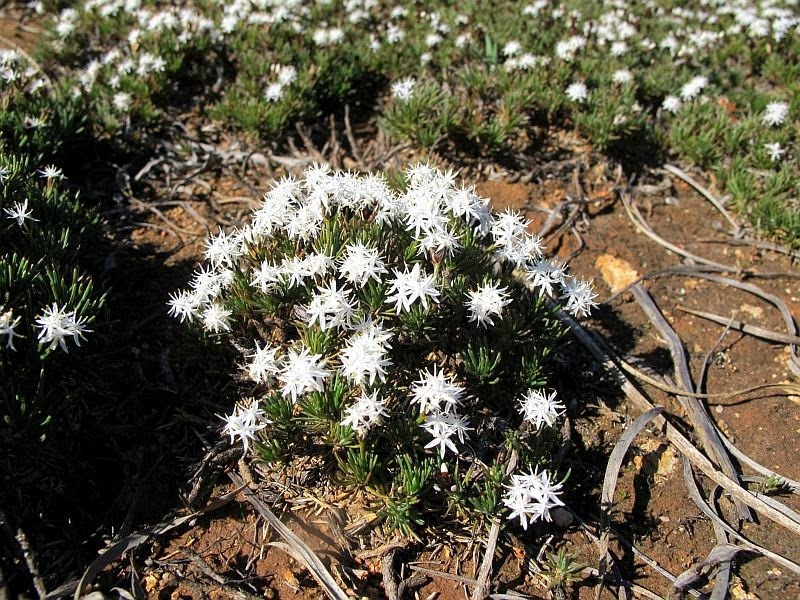 Borya constricta is a very common WA endemic species and can be found growing on shallow soils over most large and many small granite outcrops. 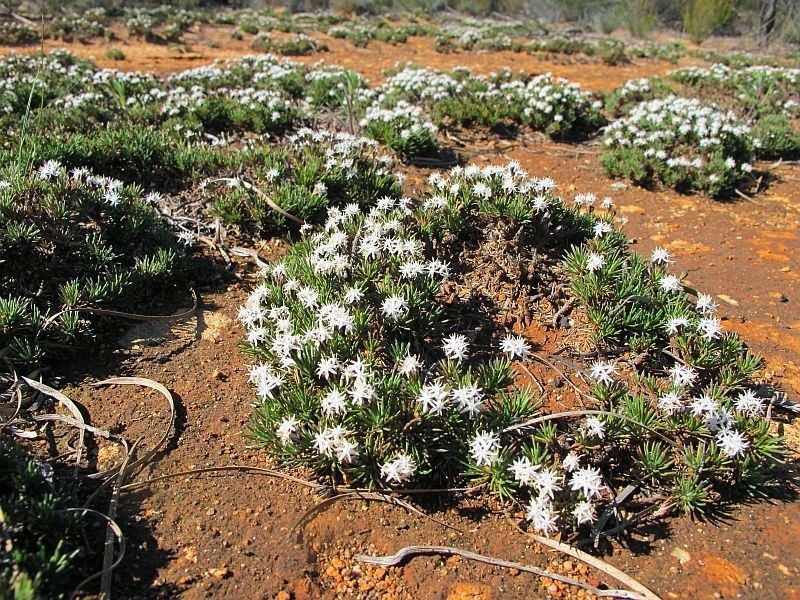 It is often found in coastal areas either side of Esperance from Ravensthorpe to Israelite Bay, but generally it prefers the drier inland and is widespread to Kalgoorlie and west to Coorow, plus other colonies exist further afield. 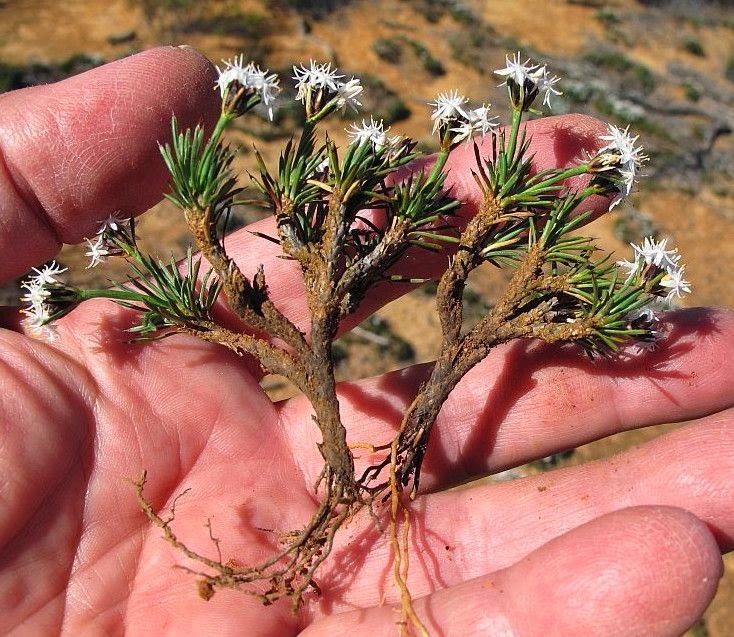 Interestingly, this species is seldom more than 15 cm (6”) in height, but can colonise bare rock by spreading outwards and in so doing trapping soil and other nutrients that are blown in, or washed down from above. 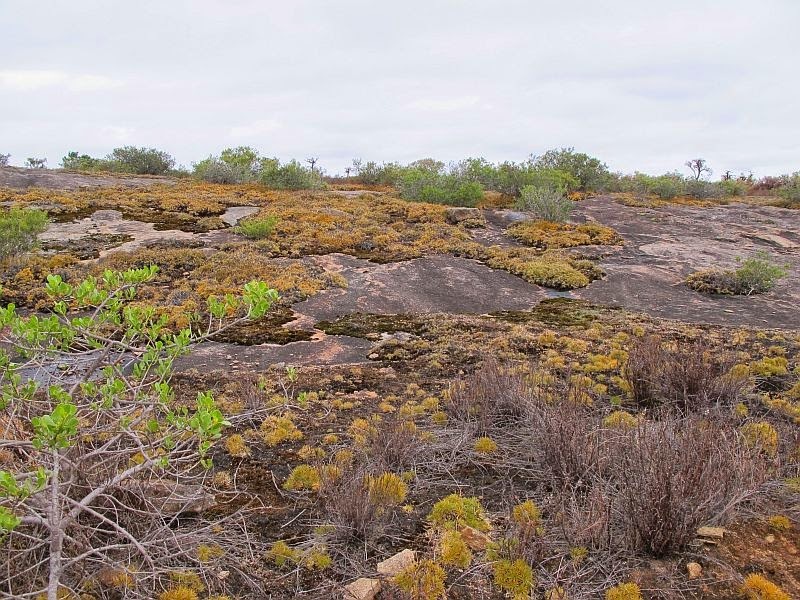 By this slow process, eventually large areas of rock become covered, which inturn create a protective habitat for other plants like orchids, lilies, mosses, fungi, rockferns, sundews, bladderworts, plus many small annual and ephemeral species. 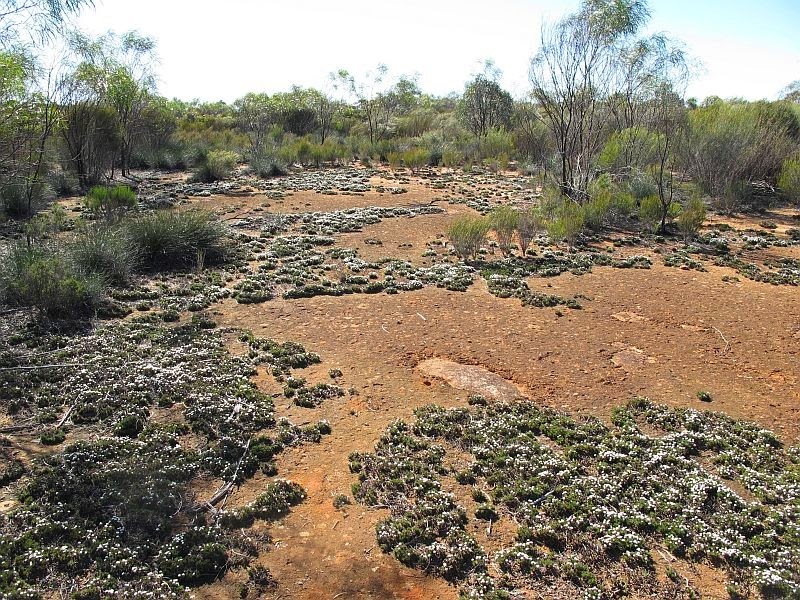 The built-up soils on the granite are usually quite thin and commonly only around 5 cm (2”) thick, consequently, during the hotter summer months, they dry to such an extent that the lack of moisture could not support other leafy perennial species. This explains the need for a dormancy period (apparent death) of the Borya plants, plus the ephemeral and annual nature of other species. It is also the reason why these plants are so successful, as they occupy an environmental niche, not easily filled by others. Leaves are commonly around 15 mm (little over ½”) in length, are stout and equipped with a sharp point, making them always prickly, but much more so when in the dormant state. This is evidenced when foliage is orange, by my dog gingerly picking his way around, but will walk over plants (although reluctantly) when the foliage is green. Borya constricta does sometimes grow with other Borya species and can easily be confused with them. 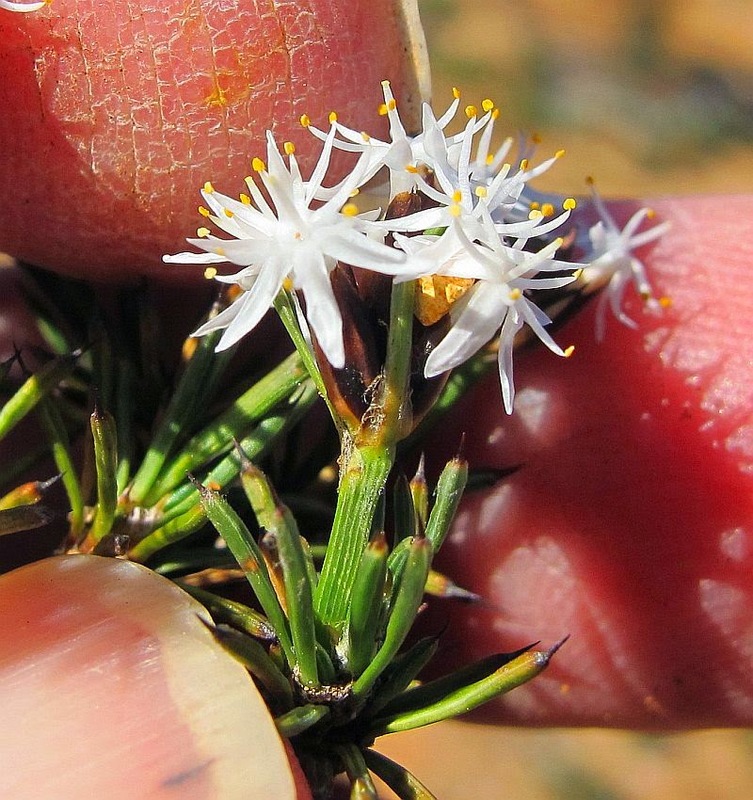 However the low spreading habit, with short stiff leaves, plus a short flower scape (stalk), less than 35 mm or 11/2” in length are the most visible features. But the most important distinguishing feature is the pinching of the leaf (constriction) near its base and from where it gets its botanical name. 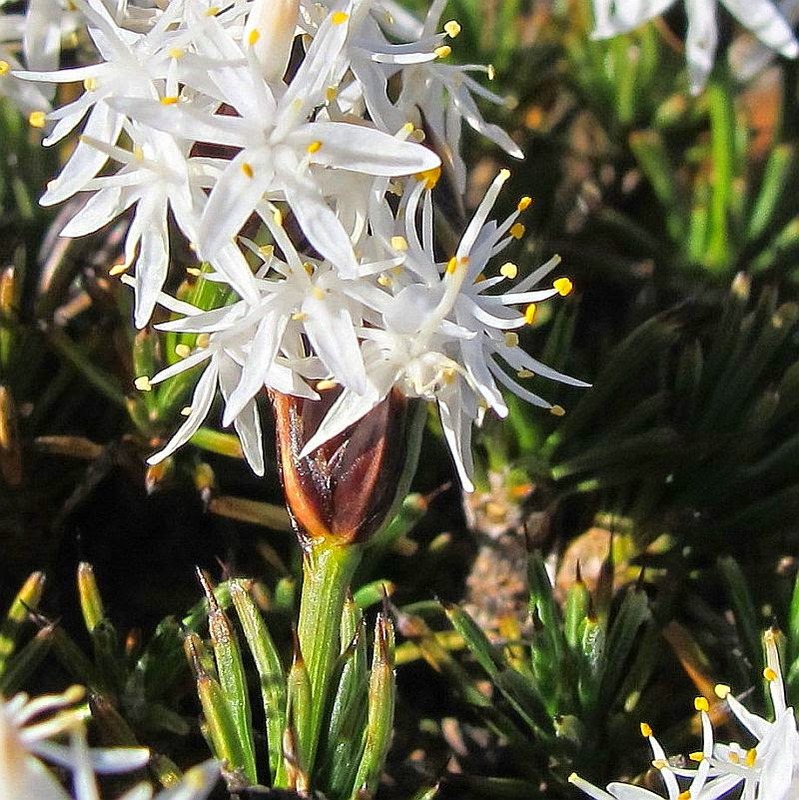 The white lily-like flowers are produced from July to October, although local weather conditions will influence the exact timing. Borya is part of the Boryaceae family, but in some references it may also be listed under Liliaceae or Anthericaceae. 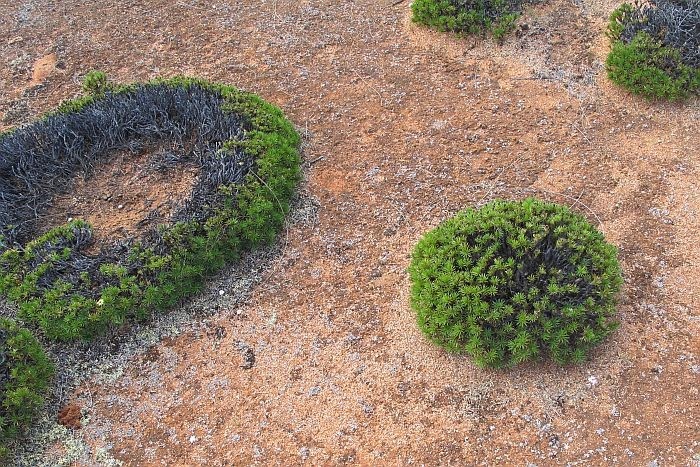 Two photos added, showing the spreading growth habit of Borya constricta after initially forming a dome that eventually dies, but the outer branches take root where in contact with the soil to form an expanding wreath. These eventually merge with neighboring plants to such a degree that it is often impossible to distinguish between them. 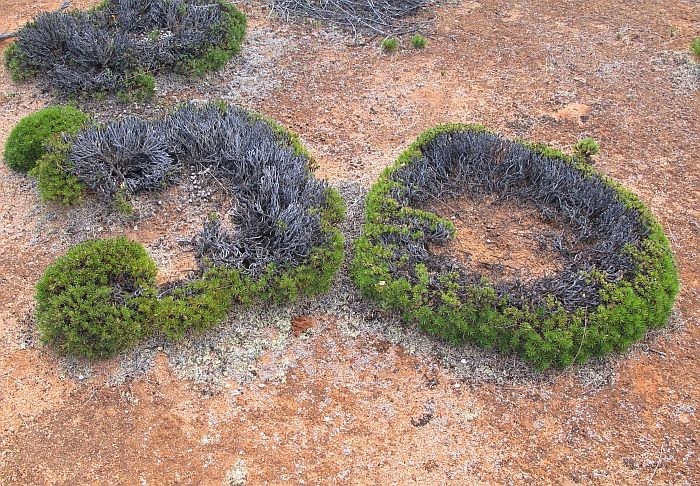 Continued spreading growth or newly germinated plants will eventually take over the empty centres, thereby Borya constricta on large rocky outcrops naturally protected from bushfires, can form thick mats over large areas. Such an environment is shown above (orange foliage).